Earlier this week I was invited to a preview of 20th Century Fox Latin America’s releases for the rest of 2013. We were shown trailers for Epic, The Wolverine, The Heat and The Internship, among other titles, and were treated to an advanced screening of Danny Boyle’s Trance (review coming soon). But before that, we got to see an extended preview of Turbo. Turbo tells the story of a little garden snail with big dreams (omg, I’m such a cliché). Theo a.k.a. Turbo (voiced by Ryan Reynolds) is a huge fan of racing but he’s a slow guy by nature, obviously. Then one day, he ends up almost drowning in nitrous oxide; his DNA is altered, making him all fast and shiny. We were treated to an extended sneak preview of this upcoming animated film from Dreamworks (about the first 25 minutes) and I have to say, even though it may be a mashup of A Bug’s Life, Ratatouille and Cars, with snails, the movie is pretty funny and has a lot of heart. 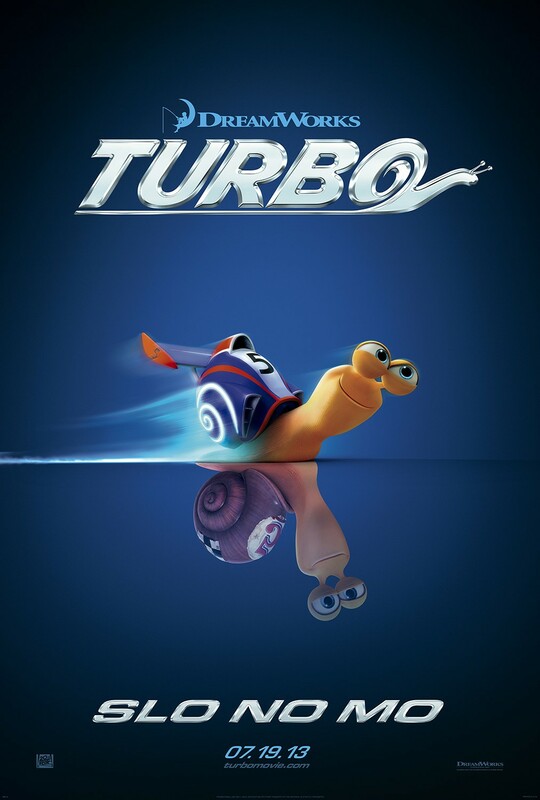 Besides Reynolds, Turbo features the voices of Paul Giamatti, Samuel L. Jackson, Snoop Dogg, Luis Guzmán, Michael Peña, Bill Hader, Richard Jenkins, Michelle Rodriguez and Maya Rudolph. Check out the trailer below. So, what do you think of Turbo? Tell me in the comments!